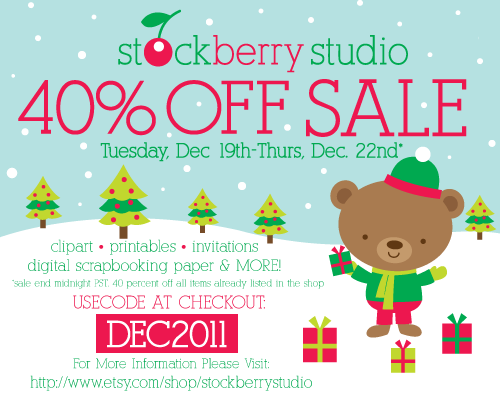 Stockberry Studio's Etsy shop 40% OFF Everything 2 day SALE!!! Tuesday, December 20th - Thursday, December 22nd. USECODE DEC2011. Please visit Stockberry Studio's shop for more details. Darn it! I always miss your sales!! One of these times I'm going to catch it. Your transportation party package was a huge hit and I can't wait to get the Pink Lemonade for my daughter's birthday! Thanks for doing such great work!